Experienced real estate attorney specializing in real estate transactions. Although recently admitted to the Florida Bar, she has extensive experience; including over 9 years of experience in the real estate sector. 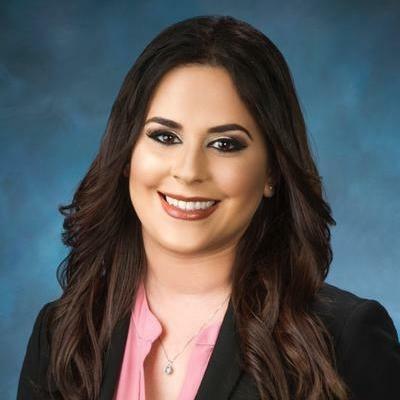 Prior to law school, she was responsible for handling residential real estate transactions from commencement to post-closing, filing Florida business entities, preparing its corporate documents, and preparing Estate Planning documents. Building on that experience, today, as a transactional attorney, her practice includes real estate, business entity formation, drafting of business documents, and estate planning. Speaks English… read more and Spanish. Dania Sancho does not have any reviews yet. The Sancho Law Firm, P.A. Representing clients in all aspects of their Real Estate, Corporate, and Estate Planning needs. Assisted in a firm project dealing with Miami-Dade County public transportation system, specifically dealing with rapid transit stations. Assist in preparation for land use hearing boards. Prepared deed packages and maintained a file caseload of over 500 files. Prepared loan packages for several lenders for residential and commercial transactions. Handled all aspects of real estate transactions from drafting purchase agreements, reviewing title documents, clearing title requirements, etc. Incorporation of Florida entities and prepared By-Laws, Operating Agreement, and resolutions. Handled claim of liens, demand letters, condominium association letters. Prepared loan documents for financial institutions, seller's documents, and necessary documents for title clearance. Also worked in other areas of law including Estate Planning, Guardianship Administration, Probate Administration, and Family Law. Attended initial interviews with clients and prepared loan disclosures for residential clients. Assisted loan officers with requirements by the credit department for loan approval and ultimately worked with lender's attorneys in the process of finalizing the loan closing package and prepared the file for closing.